Babu Company is partnering up with a variety of community activists and organizations to show people that a little consistent help can make changes that last for generations. By combining the feel of a cookout with the fun of a festival, FestOut will bring the fun and excitement of summer to an end all the while gearing up students, teachers, and our community for an exhilarating school year that is to come. The Breakfast Club ft. Rob Hill Sr. Tune into The Breakfast Club on Monday, July 9th at 9:30am. After a sellout in NYC, we are headed back to VA! What Happened to Rnb Invites you to come out for a very special event the day before July 4th. Meet us in Richmond, VA at Kabana Rooftop Tuesday, July 3rd from 10pm - 2am. Music will be provided by special guest Izzy The Dj and Dj Rayvon. 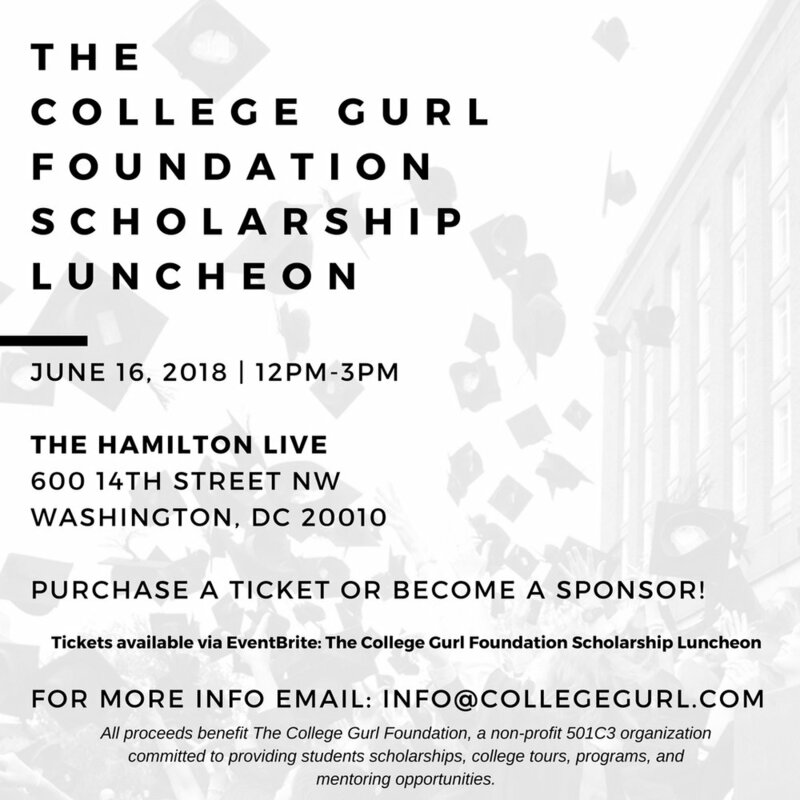 The College Gurl Foundation will host its first scholarship luncheon for award recipients on Saturday, June 16th, 2018 at 12:00pm at The Hamilton Live - Washington, D.C.. The luncheon will provide donors and attendees an opportunity to connect with student recipients and network with others. All proceeds benefit The College Gurl Foundation, a non-profit 501C3 organization committed to providing students scholarships, college tours, programs, and mentoring opportunities. For information on supporting or attending the event, email: info@collegegurl.com. 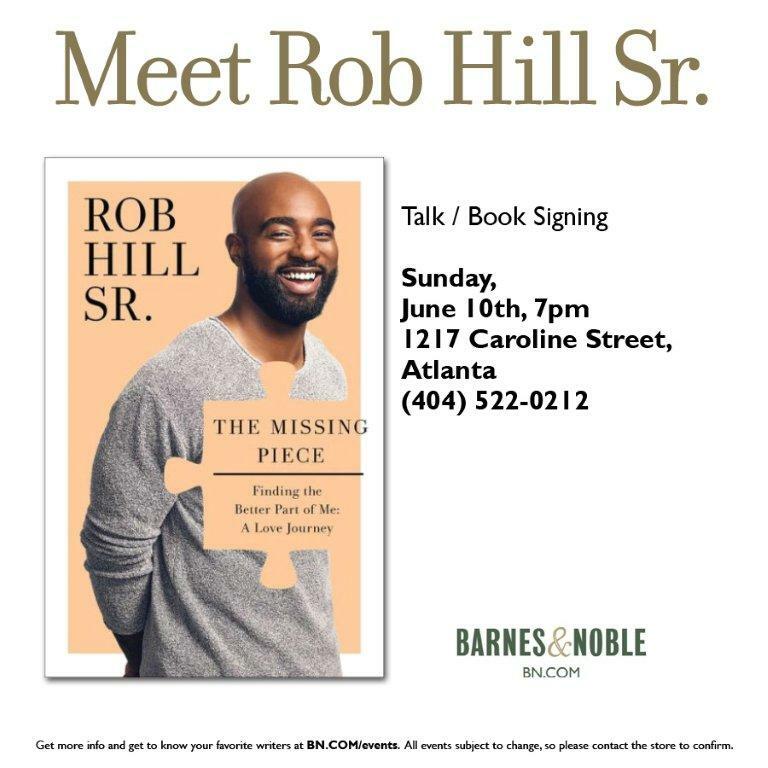 Join us at Barnes & Noble 1217 Caroline St NE, Atlanta, GA 30307 on June 10, 2018 to purchase your copy of The Missing Piece and have it signed by Rob Hill Sr.
RSVP to the book signing with this link. 2018 Hosted by Hop Hip Legend MC, musician, radio personality, and former MTV VJ ED Lover. The purpose of this book club was to expose unknown African American writers and to give them the opportunity to be recognized on a national level as well as wining accolades. In addition to honoring Angie Stone, Newhouse selected Roxanne Shante for the IAMCREATIVE Icon Award. Newhouse says, “It’s ideal to honor Roxanne Shante who is often named as one of the first female MCs to have mainstream success. To be the first in anything is a huge feat and it is ideal for us to acknowledge the doors Roxanne helped open for more creative such as she. Other honorees includes ”Wahida Clark as this year’s recipient for the Francis Ray Trailblazer Award, and husband and wife duo Ashley and JaQuavis Coleman for the Urban Classic Honor. This year’s 10th Anniversary hosted by Ed Lover will feature live performances from Amillion the Poet, Ikea Damone, Chante Cann, with surprise celebrity guest and your favorite authors. Join us at Prince Books 109 East Main StreetNorfolk, VA, 23510 on June 5, 2018 to purchase your copy of The Missing Piece and have it signed by Rob Hill Sr.
Virginia Beach’s, T2 Fitness, is hosting it’s second annual Goal Seekers 5k Run/Walk. T2 Fitness, a fitness training facility in Virginia Beach, has discovered so many people have hopes and dreams but reality sets in and life, encompassed with our hectic schedules, can cause a lack of discipline, drive, and willpower to follow through with our goals. The purpose of the Goal Seekers 5k Run/Walk is to gathers hundreds of individuals together all with one purpose in mind: to not let another year go by without being successful at reaching our goals. The Goal Seekers 5k Run/Walk takes place, Saturday, June 2nd, 2018 on the campus of Virginia Wesleyan University in Virginia Beach, VA. Pre-race training walking and running meet-ups will take place weekly to prepare new runners for the race. On race day, participants will be directed to write out their goals on our community Goal Seekers 5k vision board located on-site at the start of the race. Race bibs will include space on the bib to write out what goals you are looking to achieve for the current year. A portion of the proceeds from this race will be donated to the Beach Health Clinic, which provides quality medical and dental care to individuals living 200% below the federal poverty level and Clever Communities in Action which establishes practical action plans within communities to instill positive options for youth and to resolve critical neighborhood issues. Current sponsors include Planet Fitness, Enterprise Car Sales, Pepsi Co., TowneBank, Phoenix Restaurant and Lounge, The Vitamin Shoppe and Dave & Busters. We are expecting over 500 people to attend. For more information about this event, including press, sponsorship, registration, and vending, head to www.goalseekersrace.com and email Tasha Turnbull at t2fitnessinfo@gmail.com. Peace & Blessings STL !!! We are so excited to travel and hold space in your city. Join Musa Moon as we journey through self love, healing and releasing. 2018 is our year of focus, growth, intentions, and abundance. This session is perfect for anyone looking to make space in their life for peace and abundace. We will journey together with a gentle Foot Detox Soak, Guided Meditation, Journaling, and a collective Bath Salt Creation. We encourage you to bring your favorite essential oils and herbs. No pressure we will have items too. Soul Healing Starts Now !